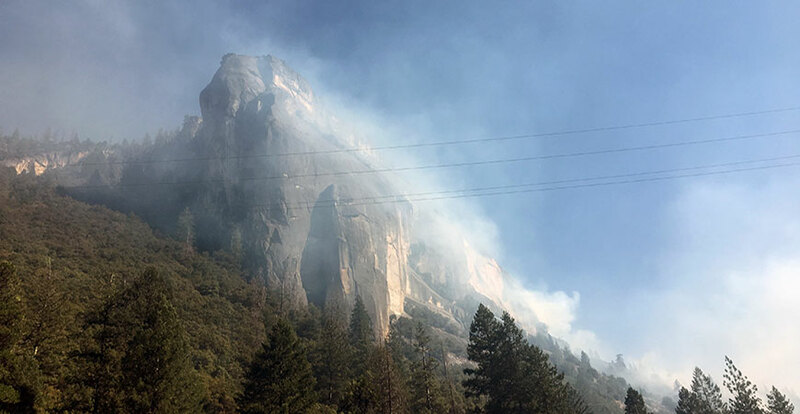 The 2018 Ferguson Fire burned 97,000 acres in the Sierra, including in Yosemite and other parks. Climate change and wildfire make a combustible mix with deadly and costly consequences. Scientists have been trying to understand that link for many years, studying the effects of climate and wildfire interactions in the Sierra Nevada. 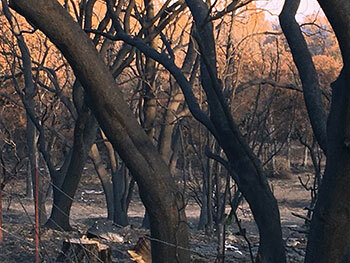 UC Merced Professor LeRoy Westerling and University of New Mexico Professor Matthew Hurteau and colleagues have analyzed data via simulations of Sierra wildfires, and what they found was surprising. They hypothesized that previous wildfires’ influence on vegetation, coupled with the changing climate’s effects on vegetation recovery after fires, would restrict the size of future wildfires. But their data analysis shows this “fuel limitation effect” doesn't last long and it's not near as large as the researchers had thought. The research, titled “ Vegetation-fire Feedback Reduces Projected Area Burned under Climate Change ,” was published today in Nature’s Scientific Reports. “This work allows us to put a lower bound on our projections of future changes in fire activity and forest carbon in Sierra Nevada forests,” said Westerling, a professor of management of complex systems and the director of the Center for Climate Communication at UC Merced. Until now, the interaction with vegetation — the fuel for most fires — hasn’t been studied in depth. Scientists know that climate influences vegetation directly and through climate-mediated disturbances, such as wildfire. Typically, the amount of area burned and temperature are related based on the availability of vegetation to burn. Using a landscape model that simulates forest and fire dynamics, the researchers conducted simulations in which climate was the only influence on the area burned and ones in which the interaction of climate and previous fires influenced the area burned. The effects of previous fires and climate on fuel availability and flammability only reduced the cumulative area burned in the Sierra by about 7.5 percent over the course of the century, they found. The aftermath of the 2017 Detwiler Fire in Mariposa County, which burned 86,000 acres. Photos courtesy of LeRoy Westerling. The researchers also wanted a better understanding of climate-wildfire interaction and how that impacts wildfire emissions, and subsequently, air quality in the Sierra. As part of the study, Christine Wiedinmyer, an atmospheric chemist and the associate director at the University of Colorado’s Science at Cooperative Institute for Research in Environmental Sciences, examined the level of air pollutant emissions through smoke release from wildfires in different climates with different types of vegetation. Wiedinmyer used the other researchers’ information to determine how changes in the amount of vegetation burned affects the amount of air pollutants emitted from the wildfire smoke. The more researchers understand the challenges communities will face as the climate warms and more wildfires burn, the better resource managers and others in leadership positions will be able to plan, manage and address issues. Hurteau noted California's climate action plan is dependent on continued carbon uptake by natural vegetation systems in the state to help balance human-caused carbon dioxide emissions. “This helps constrain some of the uncertainty around future wildfire and how it'll impact carbon uptake by the forest,” he said. The research was a collaborative effort involving scientists from across various disciplines including biology, air chemistry and engineering. “We were able to look at wildfire on a new level of detail and work collaboratively to get a bigger picture about how wildfire behaves in different conditions,” Wiedinmyer said.